KKM Financial, an alternative investment advisory firm, today announced the transition in their UIT partnership from Incapital, LLC to Nuveen Investments with the completion of Nuveen Investments’ acquisition of Incapital’s UIT platform on April 30, 2016. The partnership between KKM Financial and Nuveen Investments broadens distribution for KKM with a first-in-class partner firm such as Nuveen Investments. KKM Financial, LLC today announced the transition in their UIT partnership from Incapital, LLC to Nuveen Investments with the completion of Nuveen Investments’ acquisition of Incapital’s UIT platform on April 30, 2016. The partnership between KKM Financial and Nuveen Investments broadens distribution for KKM with a first-in-class partner firm such as Nuveen Investments. "We are excited to have such a distinct distribution partner as Nuveen Investments to provide distribution of the innovative Heat Seeker® methodology and investment expertise of Jon and Pete Najarian to advisors and their clients," said Jeff Kilburg, Founder and Chief Executive Officer of KKM Financial. "Nuveen's highly-regarded platform and nationwide advisor relationship network offer a unique fit for us." The Incapital Najarian Heat Seeker UIT portfolio, that KKM Financial has served as the portfolio consultant since 2015, will transition in name into the Nuveen Najarian Heat Seeker UIT portfolio later in the second quarter of 2016. The 15-month unit investment trust portfolio is based on a proprietary algorithm, the Heat Seeker®, developed by Jon and Pete Najarian. The Heat Seeker portfolio aims to provide capital appreciation through common stocks. At the core of KKM Financial’s stringent security selection process is the Heat Seeker® methodology, which seeks to identify long-term unusual trading activity that may illuminate the footprints of long-term equity positions taken by large institutional investors. “The Heat Seeker® analyzes where large traders such as hedge funds, activists and leveraged buyout firms may be establishing or building long positions.” said Jon and Pete Najarian when asked about the ability of options to assist in a stock portfolio construction. Commenting on the portfolio, John Browning, Managing Director of Nuveen Unit Trusts, said, "Nuveen is pleased to employ the investment expertise of KKM Financial within the Heat Seeker Portfolio. Uniquely designed to identify companies whose business models and overall market position offer potential competitive advantages, this portfolio provides investors access to distinct investment expertise as they look to build diversified investment portfolios." For more information about the Najarian Heat Seeker Portfolio, please visit http://www.nuveen.com/UIT. 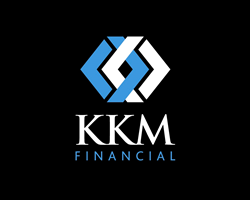 KKM Financial (“KKM”) is a private investment management company and registered investment advisor with the Securities and Exchange Commission. KKM provides alternative asset management utilizing dynamic stock selection, hedging, option-overlay, and volatility strategies that seek to control risk across various asset classes to investors of all types. KKM brings vast knowledge and expertise via its options and futures market-making experience at the Chicago Board Options Exchange and CME Group. Located in Chicago and led by founder & CEO Jeff Kilburg, KKM is an innovative leader in alternative investments. Further information on KKM is available at KKMfinancial.com. Nuveen provides investment solutions designed to help secure the long-term goals of individual investors and the financial advisors who serve them. Through the expertise and capabilities of TIAA Global Asset Management’s high-caliber investment managers, Nuveen is committed to providing world-class consultative services and advice that align with client needs. Securities offered through Nuveen Securities, LLC, a subsidiary of Nuveen Investments, Inc. Nuveen Investments is an operating division of TIAA Global Asset Management. For more information, please visit the Nuveen Investments website at http://www.nuveen.com or http://www.nuveen.com/UIT. Please consider the investment objectives, risks, charges and expenses of the unit investment trust(s) carefully before investing. The prospectus contains this and other information about this unit investment trust(s). To obtain a prospectus, please request one from your financial advisor or visit nuveen.com/UIT. Please read the prospectus carefully before investing. Nuveen Securities, LLC serves as the Trust’s sponsor and Nuveen Fund Advisors, LLC serves as the Trust’s evaluator and supervisor. KKM Financial, LLC serves as the portfolio consultant responsible for recommending a portfolio of securities for the unit investment trust and is not affiliated with the Trust’s sponsor, Nuveen Securities, LLC, a registered broker-dealer.